One game map, two dry-erase markers, a counter sheet, a six-sided die, and a rulebook. 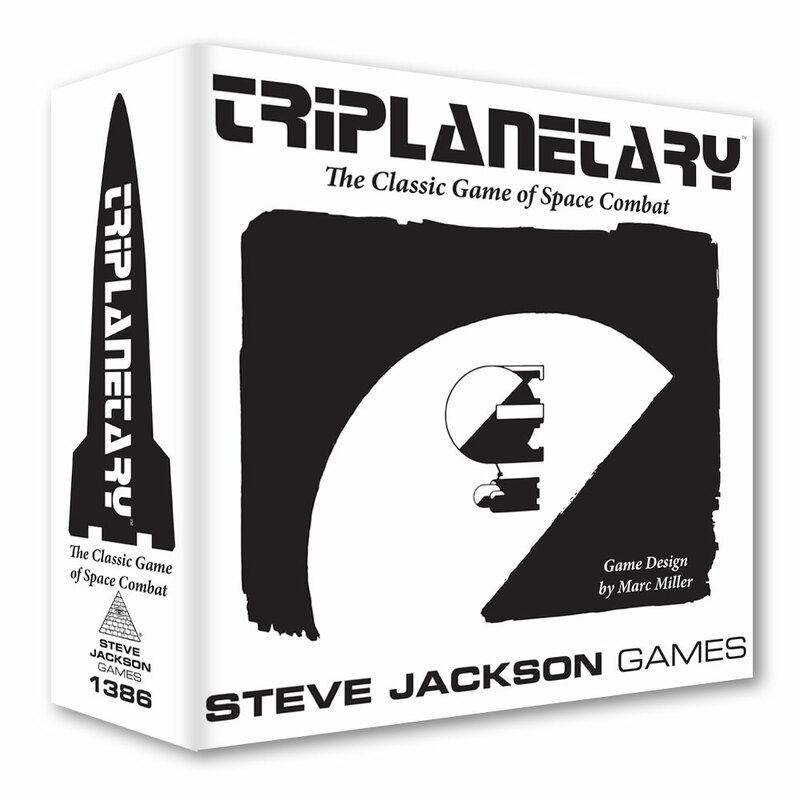 The Return of Triplanetary - by Steve Jackson; this article appeared in Roleplayer #19. Escape from Leix (Steve Jackson). A two-player scenario. Nifty Triplanetary Stuff (Stefan Jones). New ships, boarding rules, map notes and trade rules. Extended Triplanetary Map, Jupiter Map, Inner Planets Map, and Map Notes created by Mike Rowles. Antonio "Spark" Farquar vs. the Star Emperor (Stefan Jones). An off-the-wall parody/variant scenario, using some of the above rules. What some people are saying about Triplanetary. 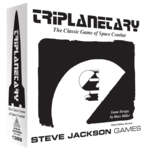 Christopher Weuve's Triplanetary pages include: Triplanetary to VMS Conversions, Variants, Map Variants and Ideas, Stellar Conquest/Triplanetary, and thoughts on Triplanetary. Modified Triplanetary counters by Winchell Chung.